We are a friendly and welcoming team here to help you improve your English and academic study skills, and to adjust to your life in the UK. We all have experience of working with students in Higher Education. We look forward to meeting you. Hello, my name is Alasdair, but a lot of people call me Al. I was born in Canada but my family moved to the UK about 20 years ago. I have been working with international students and teaching English since 2004, where I began my teaching career in Japan. Because of this, I have a good idea of the many challenges that international students face when they come to live and study in another country. My team and I work very hard to make this transition as smooth as possible by providing support, lessons and advice throughout your career at the University of Lincoln. Hi. 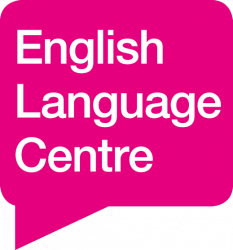 I have worked in the English Language Centre since 2013. In terms of education, I have a first class M. Phil. in Linguistics from the University of Cambridge and an undergraduate degree in Linguistics with Literature. As a result, my pedagogical interests are mostly in Applied Linguistics. Although born in Lincoln, I spent a large part of my childhood living abroad and I particularly enjoy continuing to learn about other cultures via our international students here at the University of Lincoln. Hi everyone! My name is Raj and I’m a member of the In-sessional teaching team here at the English Language Centre. An English tutor since 2008, I’ve been at the University of Lincoln since September 2016. Previously, I have taught at universities in Australia and Spain. Whilst living in Australia, I completed a Masters in Educational Studies. One of my greatest passions is travelling and discovering new cultures. As an English teacher, I actively enjoy meeting and getting to know our international students here in Lincoln who come from a diverse range of countries. 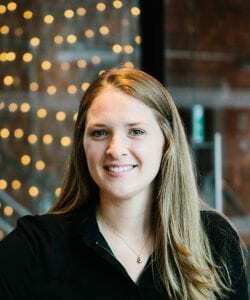 Hi, I joined the ELC in February and am really enjoying getting to know the team, students and Lincoln! I’m originally from Manchester, and I still share my time between the two cities. I’ve been working as an English teacher since 2009. I started working in Salamanca, Spain, where I studied my undergraduate degree in French. I know how hard it can be as an International student, and hope that this experience means I can support our students better. My main role now is to help coordinate the English exams for entry to the University, and running the Teaching English as a Foreign Language programmes for our recent graduates. I recently completed a MA TESOL (Teacher Education) at the University of Manchester and consequently really enjoy the teaching element of the job. I look forward to seeing you in a classroom soon! Hello. I have been employed as the Senior Administrator in the English Language Centre since 2012 and my primary role is supporting pre-sessional students right through from initial enquiry to graduating the course. I love working with international students and seeing them build in confidence as they become used to studying in the UK. I also organise coach trips to various UK cities throughout the year which gives me an opportunity to get to know students whom I would not otherwise meet; whilst enjoying the attractions other cities have to offer. When I am not at work I enjoy gardening, cooking and spending time with my family, friends and my cat.